Separating western Paris from its working class eastern neighborhoods, the area around the Canal Saint Martin was one of the surprises of my 3 months spent in Paris. Forget those artsy pastry shops, posh boutiques and fancy cars – what you’ll find here is a different flavor of town, loaded with its own kind of charm. Isabelle and I headed east on a Saturday morning to explore something new. 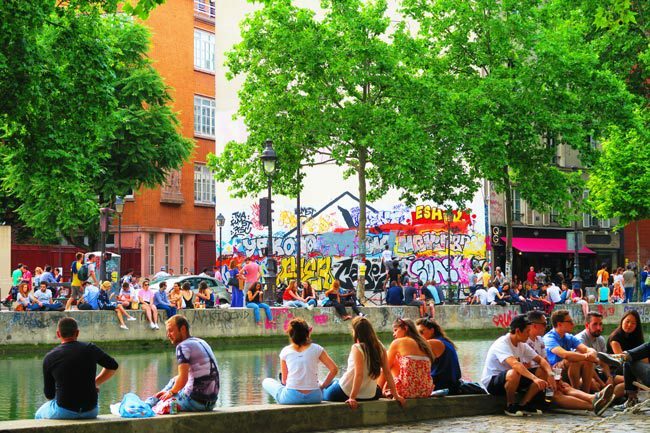 In this Canal Saint Martin itinerary, I’ll share with you suggestions for a day spent exploring this changing neighborhood. Taking up the 10th & 11th arrondissements (districts), this was a working-class neighborhood. But things are quickly changing as aging workers head further east into the suburbs and young Parisians move in, looking for cheaper rents. We’ll soon start our full day of exploration, meandering along the canal and straying sideways to check out other highlights. 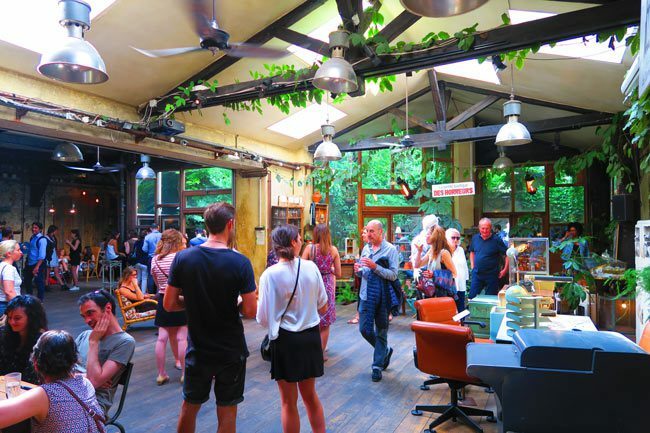 After hanging around for a while in the poshier parts of town, the tattoo parlors, second-hand shops and hipster bars are a blessed breath of fresh urban air. 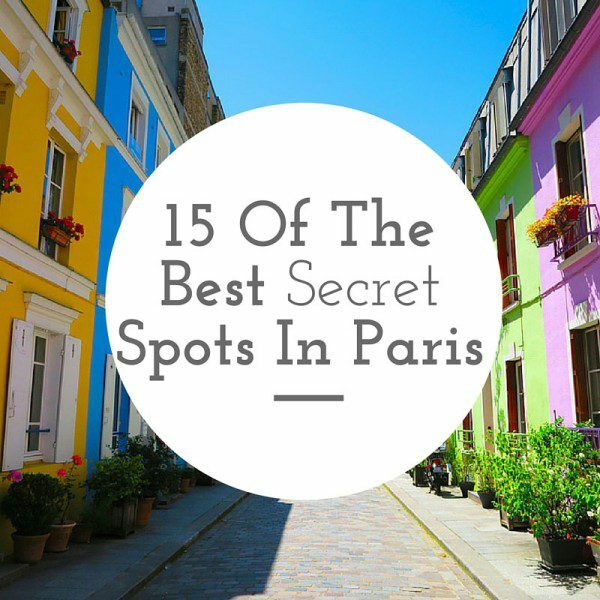 But don’t get me wrong, this area can be super charming – heck, there’s a canal running through the middle of Paris! 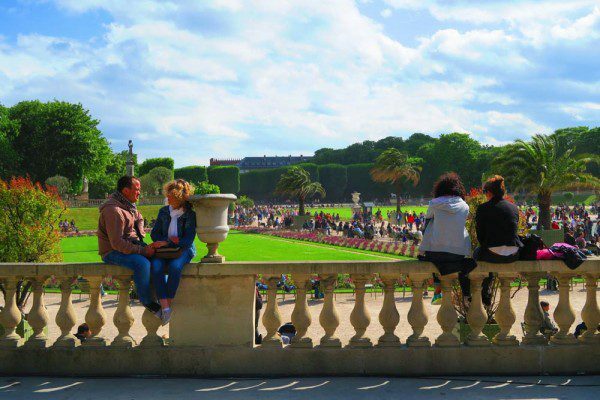 Before heading to Paris, pick up your own copy of The Rough Guide To Paris (only $17 on Amazon), together with these neighborhood guides, it’ll be your best friend in The City of Lights. 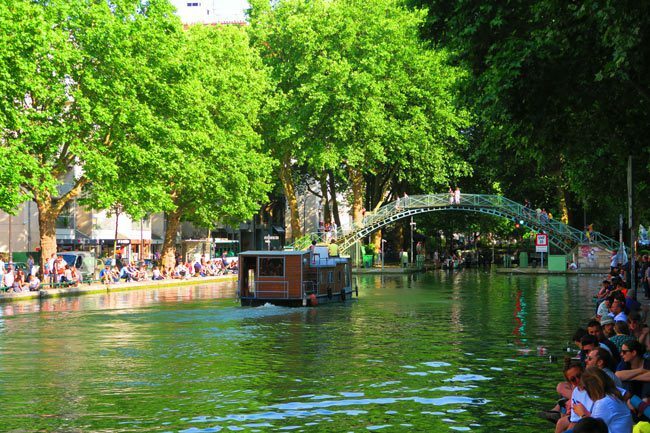 Why visit the Canal Saint-Martin area? Still inside Paris but so different than its western neighbors, the area around the Canal Saint Martin is perfect if you want to experience a down to earth Parisian neighborhood. 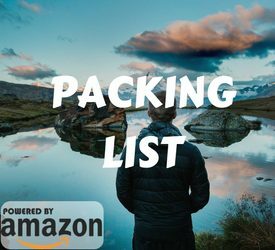 If you’ve already seen the major highlights this town has to offer (and there are lots of them), this is probably a good option to consider. 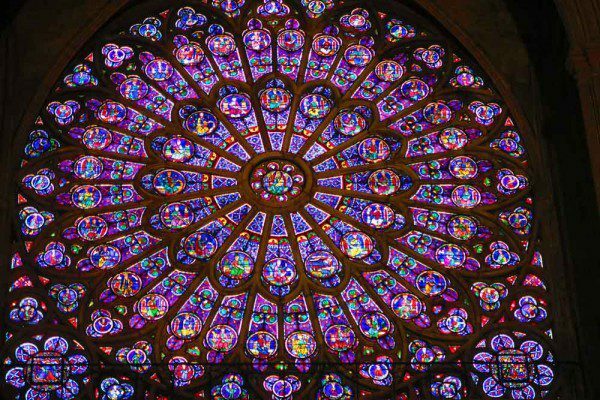 It’s not for everyone though, with a few rough pockets and none of that Parisian pretentiousness that you sometimes actually want to experience. This area is more real, with a highly diverse mix of residence – which give it its unique flavors. The canal was commissioned by Napoleon the First in 1802 to serve a few purposes. The official excuse was to shorten the time it took boats traveling to and from Paris along the Seine. Paris is located right the middle of a few serious river bends and travel time could be greatly shortened if there was a way to travel in a more straight line. Napoleon was a military man after all so it’s not hard to believe that the canal served another purpose. At the time (and certainly in the years to come), the eastern parts of Paris did not ‘get with the system’ like the other neighborhoods in the west. The canal was a means to isolate and control these neighborhoods with a water barrier. This turned out to be a double-edged sword as the eastern rebels could now prevent soldiers from crossing over and restoring ‘order’. On comes Napoleon III to solve this problem by covering 2.5kms of the canal from Port de l’Arsenal in today’s Bastille area to Rue du Faubourg du Temple, sending the canal to flow under street level and providing troops with easy access to the eastern parts of town. 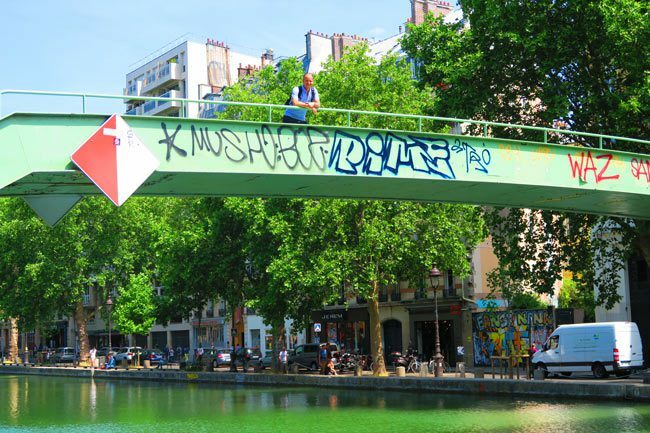 Today, the Canal Saint-Martin still functions as a waterway and occasionally, bridges are swung, locks opened up and boats allowed to make the journey. 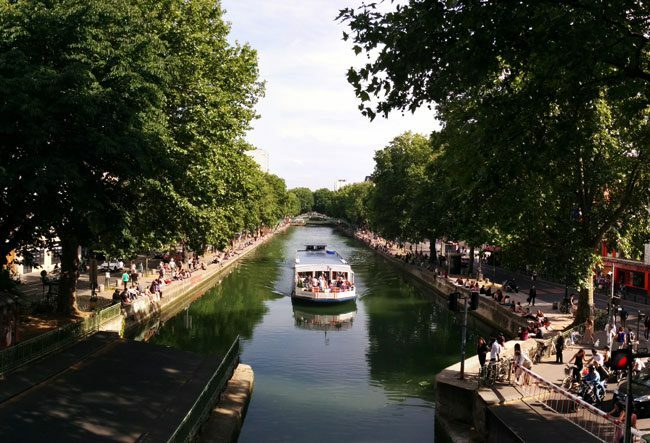 When to visit the Canal Saint-Martin area? You have a few options here, and there are pros and cons to all. On Sundays, the quays along the canal are closed off to traffic so the area becomes more of a gathering spot for locals. However, Sunday and Saturday are also days when some of the better restaurants in the area are closed. 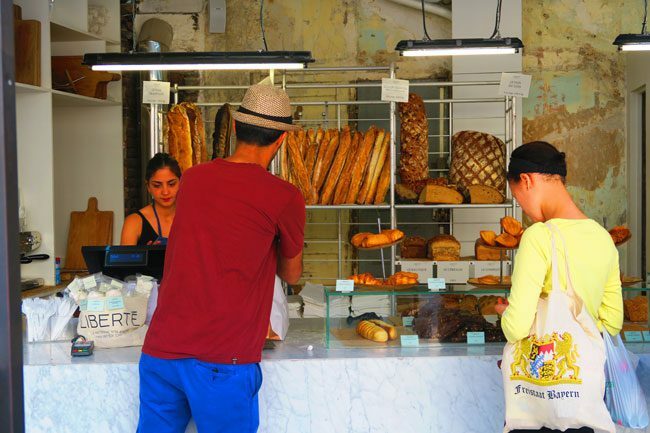 If you like Parisian food markets (and who doesn’t? ), the covered Saint Martin market is just around the corner – open every day except Monday and Tuesday. 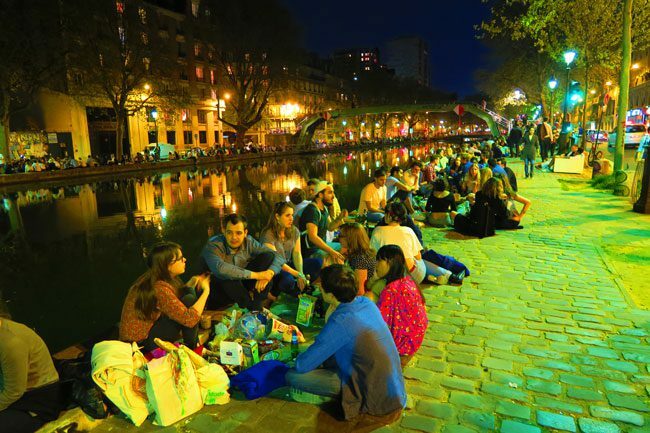 In any case, a warm spring or summer evening is a perfect time to visit the Canal Saint Martin. Just bring some booze with you and find a spot along the canal with the rest of the neighborhood crowd. Here’s what it looks like. 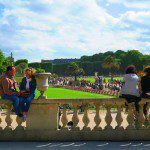 How to get to the Canal Saint-Martin area? 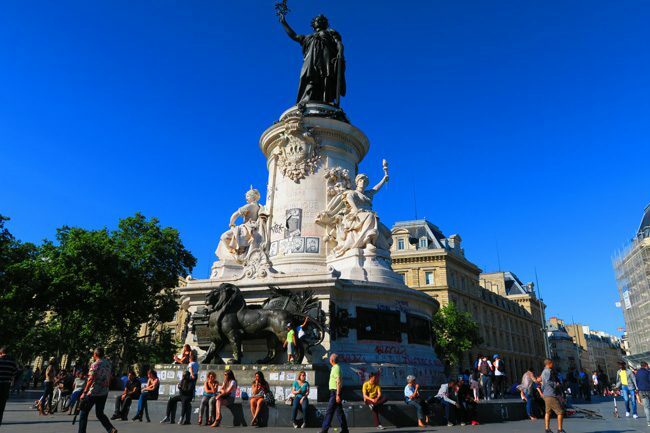 The best way to start your Canal Saint-Martin itinerary is at Place de la Republique and work your way up. Quite a few Metro lines stop here. 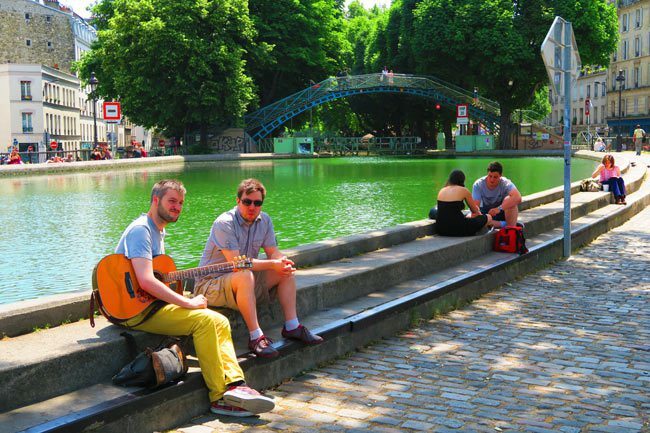 There are lots of things to do around the Canal Saint Martin area so let’s get started. As we usually do, our Saturday morning started with a visit to the neighborhood food market. I was living in Paris for 3 months and my flat was in the posh 8th arrondissement on the west side of town, so we grabbed the Metro and got off at Place de la Republique. There’s nothing extraordinary about this square though it has seen its fare share of historical events. Today, it’s a prime gathering spot for locals, some of them quite on the unfortunate side of things. There are also loads of cocktails bars in the avenues surrounding the square and the main statue in the middle has become the unofficial memorial for the victims of the Charlie Hebdo terror attack in 2015. The Saint Martin covered food market (Marché Couvert Saint-Martin) is just an 8-minute walk from Place de la Republique (there are other metro stations you can use – see map). The market is open Tuesday – Saturday from 9:30am-7: 30 pm so there’s no rush. 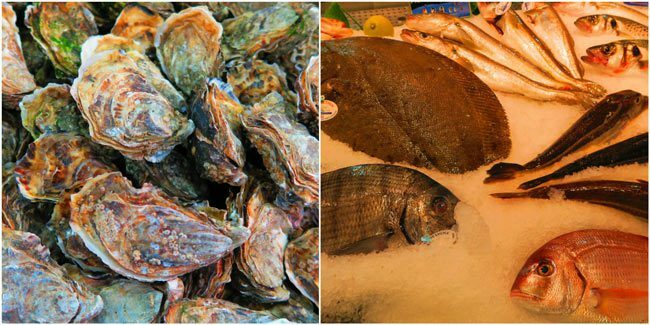 It’s been around since 1859 and specializes in fine foods, fresh seafood and a good selection of organic fruits & vegetables. 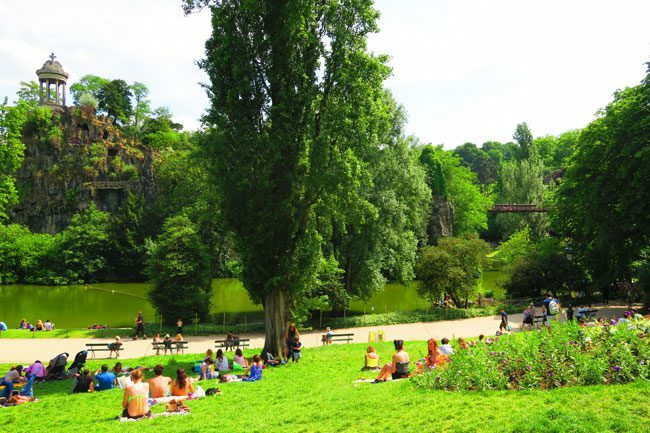 It’s nowhere as lively as the Aligre Market but since we’ll take a long break in one of the nicest parks in Paris later on, you might want to stock up on some picnic goodies! 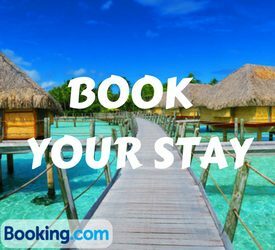 There are other options around so don’t stress yourself too much. Now ready to start our day, we headed back towards Rue du Faubourg du Temple, reaching the spot where the canal emerges back to the street level. 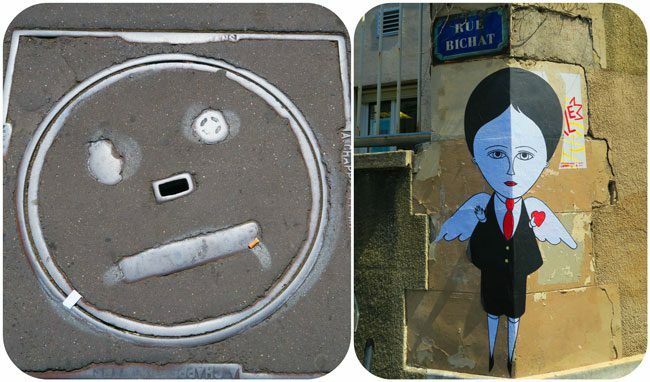 You immediately feel you’re in eastern Paris, in a good way. Aside from the abundant Turkish kebab shops, the people and their clothing are more colorful. The area we’re about to explore is a changing mix of working-class Parisians, immigrants from North & Sub Sahara Africa and youngsters in search of relatively low rents. 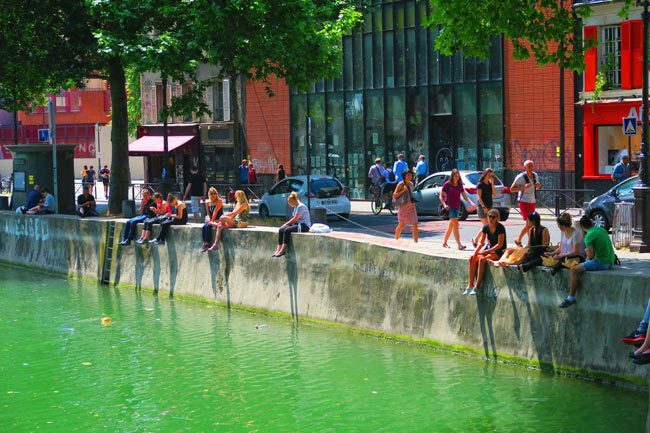 We start to explore the Canal Saint Martin from the southern end along its two quais: the Quai de Valmy and Quai de Jemmapes. 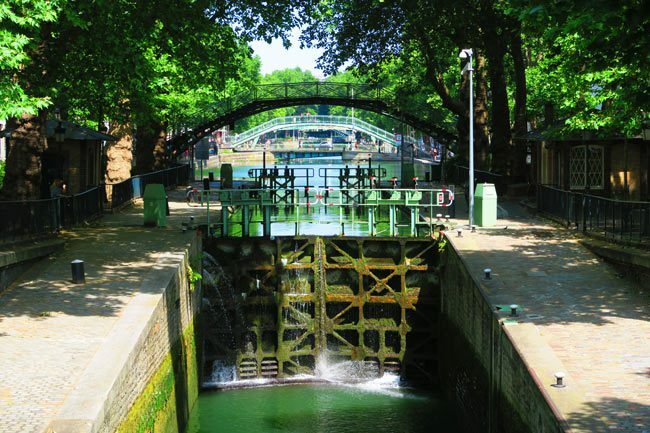 The southern part of the canal is super charming, with trees lining the walkway, canal locks here and there and those famous iron footbridges arching their way over the canal. If we ignore for a second the filth left in the water from the previous night’s canal drinking (super cool if you just wanna chill) – you just might think you’re in some small village in the countryside. 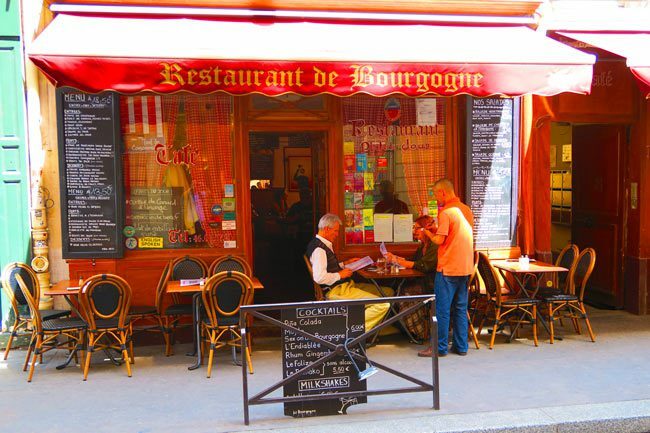 Quai de Valmy is especially lively with lots of cafes offering prime spots on the sunny terrace to watch the day go by. 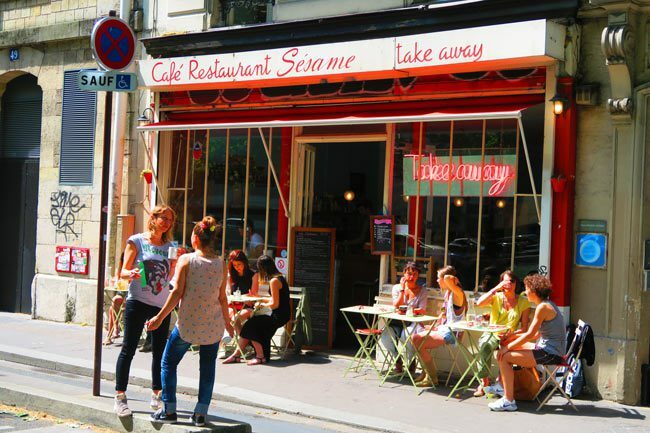 Le Sésame is great for coffee and lite bites and Chez Prune is a good spot for salads or a more proper lunch. If you really want to knock it out of the park, head over to Holybelly for a killer brunch. 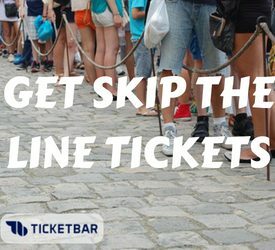 You’ll have to wait in line for a spot in this popular place but good things are worth waiting for. Even the hipsters made it here! 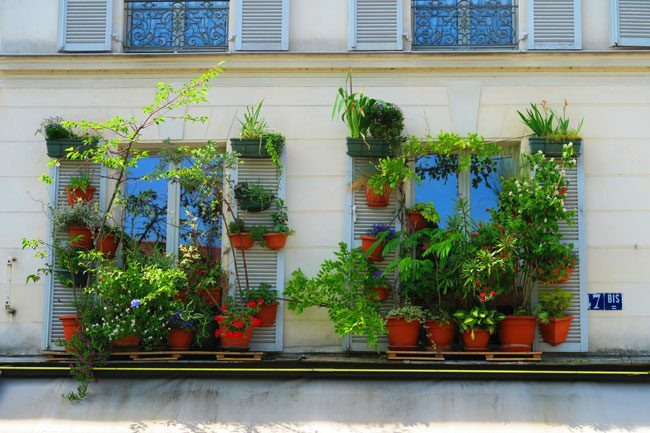 Walking along the quais and venturing into the side streets gives you a good feel of the changing neighborhood. 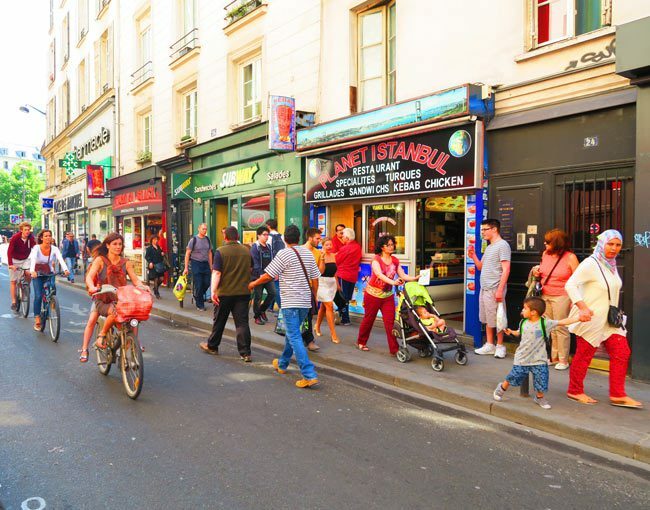 There are more and more young Parisians moving in, looking for cheaper rents and bringing with them a more urban vibe to this once working-class part of town. It’s not unusual to see graffiti from time to time and I think some of it is actually legit. 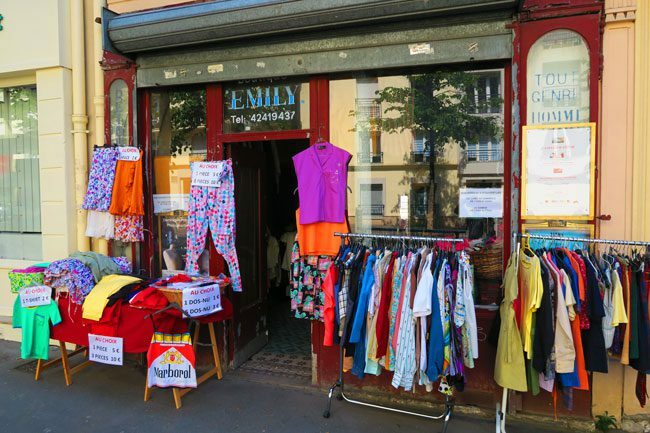 Aside from the hipsters, you also have the young Parisian couples who also need an affordable place to start their family, without God forbid heading out beyond the Peripherique and into the suburbs. 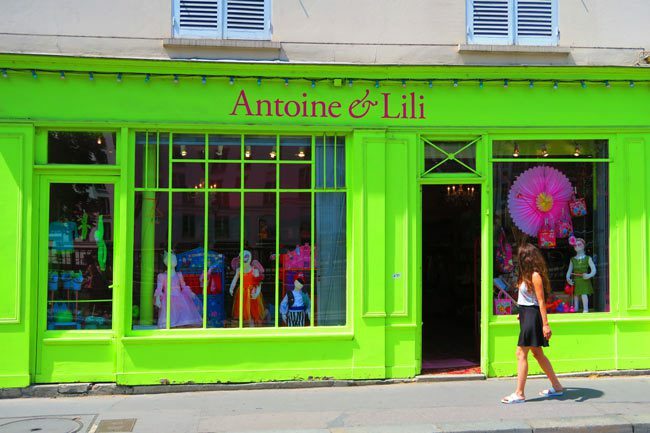 They bring with them their taste for the finer side of life: the boulangeries (bakeries), cafes and boutiques (see the colorful Antoine et Lili). So to put it short, this is an interesting part of Paris and it will certainly look different a few years from now. 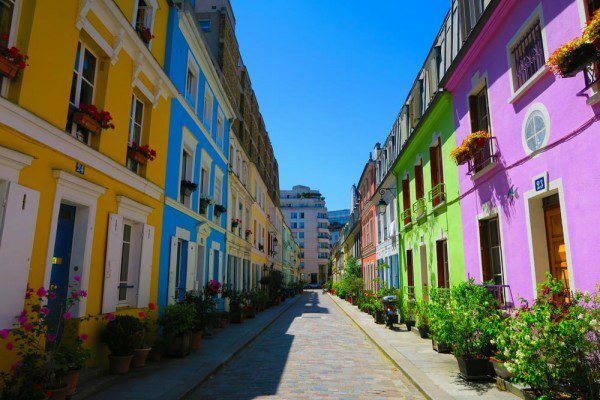 Aside from the graffiti and cafes, there is one spot that’s reached historical fame and you’ll find it at 102 Quai de Jemmapes. 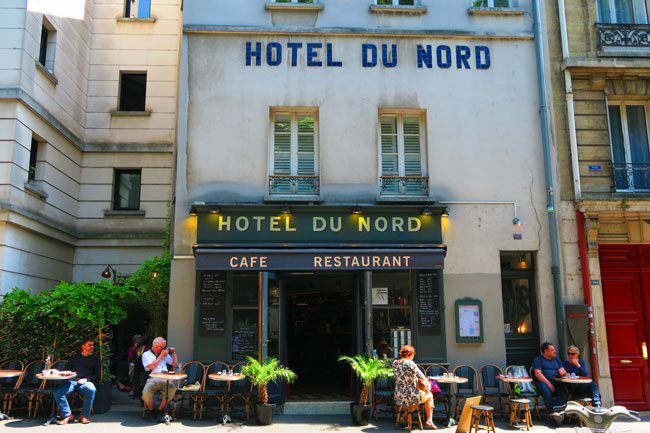 Hôtel du Nord was a famous French film from 1938 that’s based on events that fictionally took place at this hotel / restaurant. It’s a pretty good spot for passing a few hours on the small terrace or just having another cup of coffee. 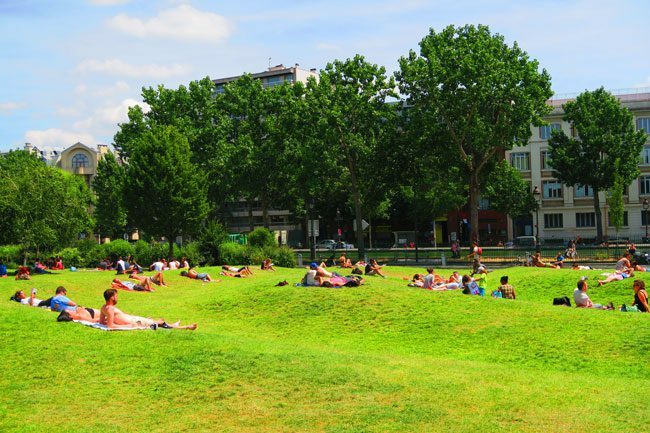 Moving along, the Villemin Garden is your first chance to catch some proper sun. The small park is popular with all neighborhood residents, including the dodgy ones. The part closer to the canal seemed safer than the back side but don’t worry, there were quite a few young families enjoying a Saturday picnic here. From here, it’s pretty much a straight walk along the canal to Place de la Bataille-de-Stalingrad. We’ll explore the other side of the canal on the way back so don’t worry. Things definitely seem to be getting rougher here and there isn’t the charm of the southern end of the canal. 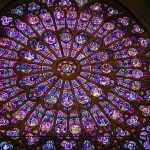 Nonetheless, you might want to check out the Rotonde de la Villette, a pretty nice rotunda that was built as a tax station for travelers coming into Paris through the city wall gate that used to be here. Really? This place used to be a quarry? Our next stop is just a 15-minute walk from Stalingrad and we’ll have a picnic lunch there. 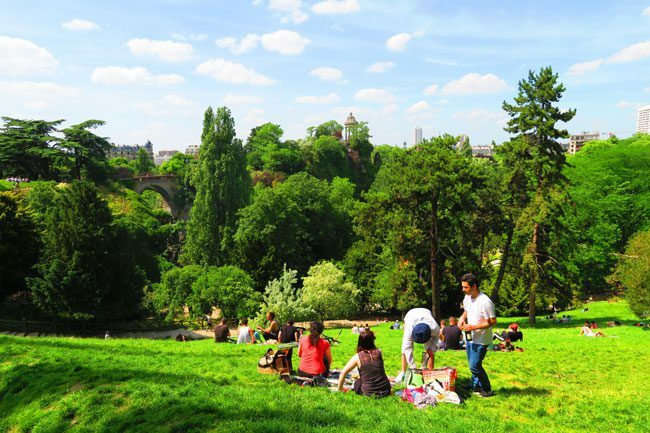 The Parc des Buttes-Chaumont is one of the nicest parks in Paris. 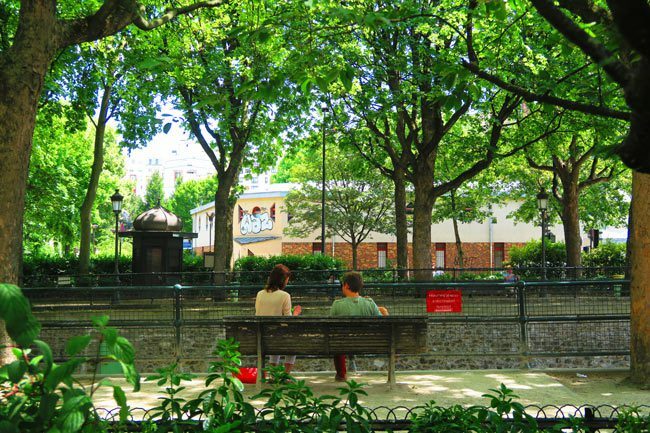 It’s not in the same league as the Luxembourg Garden, over in chic Saint Germain, but you’ll mostly find just local Parisians enjoying their weekend over here. The park is a great example of what you can do with disused quarries. Unlike with the underground Catacombs, the quarries here left deep scars above ground but that was turned in the 1860’s to the beautiful park we see today. 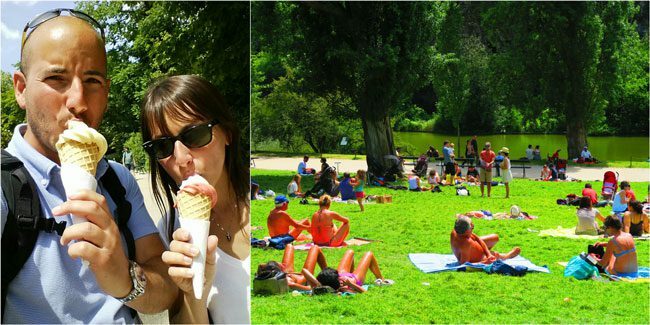 Walk along the lake, grab some ice cream, cross the suspension bridge and just chill out on the grassy hill with everyone else. By now were were on the right bank of the canal so we started making our way down the hill and back towards where we started. 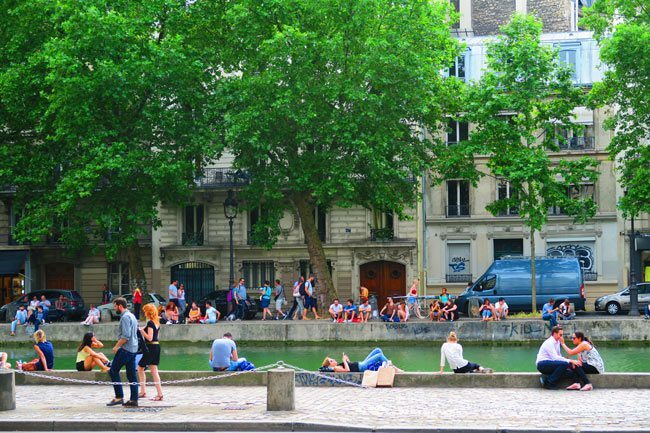 The area between Boulevard de la Villette and the canal is quite charming with lots of quiet narrow streets that make you forget you’re still in Paris. 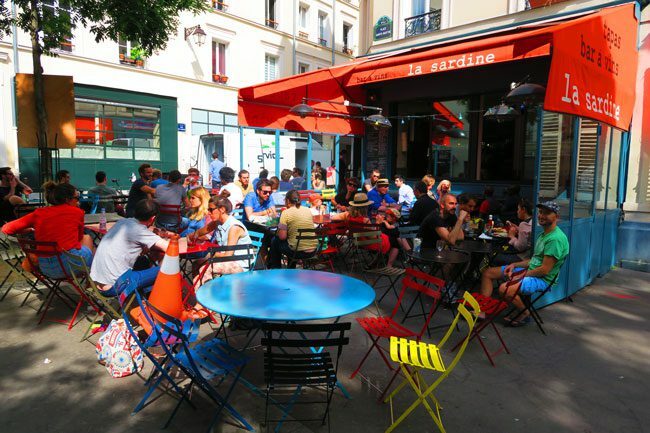 We stopped in a quiet square to grab fresh beers at Bar La Sardine, a super cool bar and a prime neighborhood hangout spot. Just down the road, check if La Tête dans les Olives is open. They have an amazing selection of olives to choose from and lots of other olive related stuff. Too bad we didn’t have these babies for our picnic! 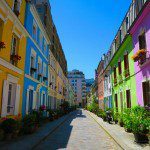 Further down the road, you won’t be able to miss the 17th century building the wraps itself around the block – the Hopital Saint-Louis. It’s still a working hospital, but try and get inside the courtyard which is suppose to resemble the Place des Vosges in the Marais. Access to the courtyard is reserved for patients on the weekend so if you’re here during the week, give it a shot. We finally made it back to the canal, this time on the right bank. 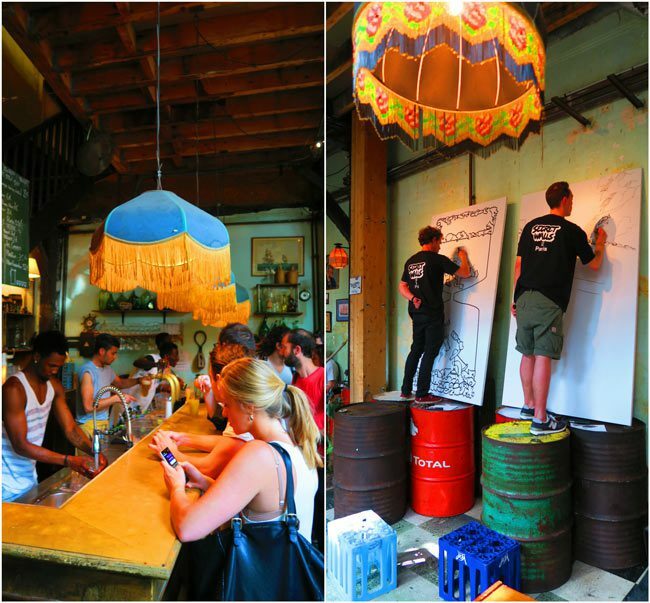 Our last stop was in a hidden alley just off Quai de Jemmapes, at the super cool bar of Le Comptoir Général. It doesn’t look much from the outside but it’s a whole different story inside. This place has a few interior rooms and a smoke-filled ‘tropical’ terrace. 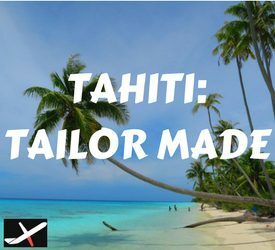 It’s got an African theme with a Polynesian twist and a heavy hipster touch. 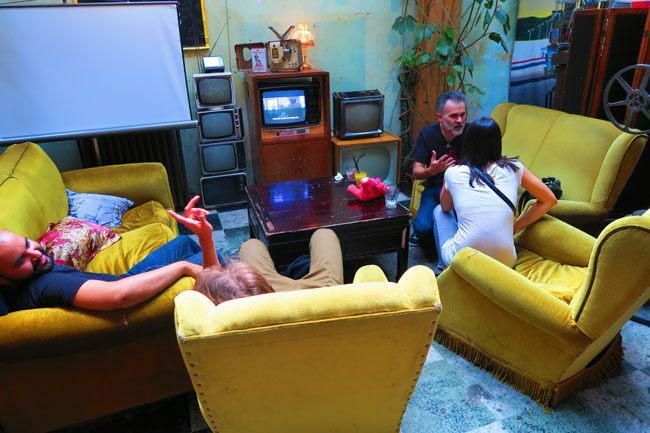 Grab a spot in one of the antique sofas and don’t forget to grab a cocktail. When we were here, the place was buzzing and they had a showdown between a few neighborhood sketch artists. Keep this in mind if you want to have an early dinner / very late lunch: a lot of places we entered led us to a quick exit as their kitchens only reopened at around 6 pm… weird. 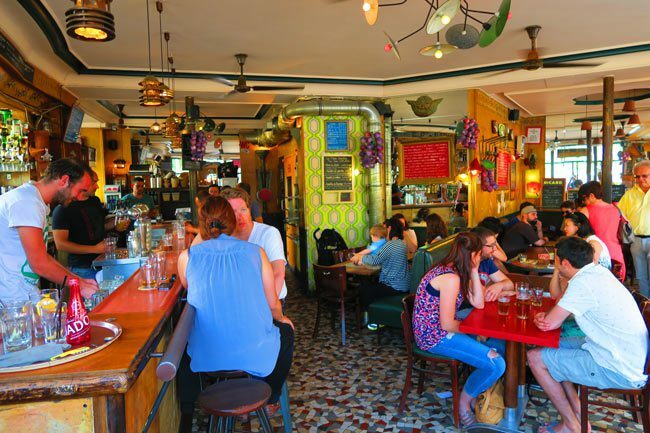 If it’s too loud for you inside the Comptoir Général, just grab a spot along the canal. 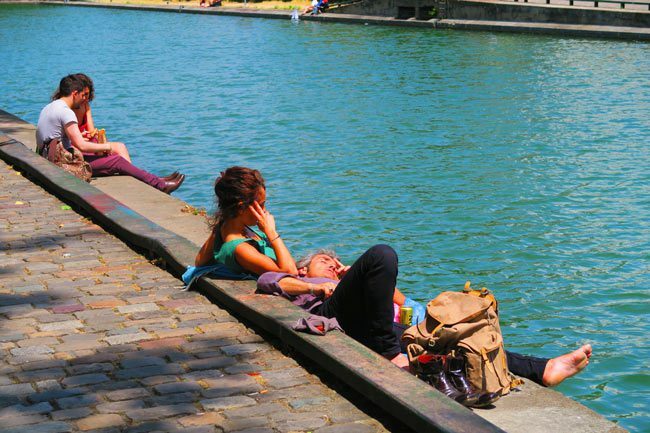 In our case, it was about 5 pm and young Parisians were flocking to the banks of the canal with a fresh drink in their hands. 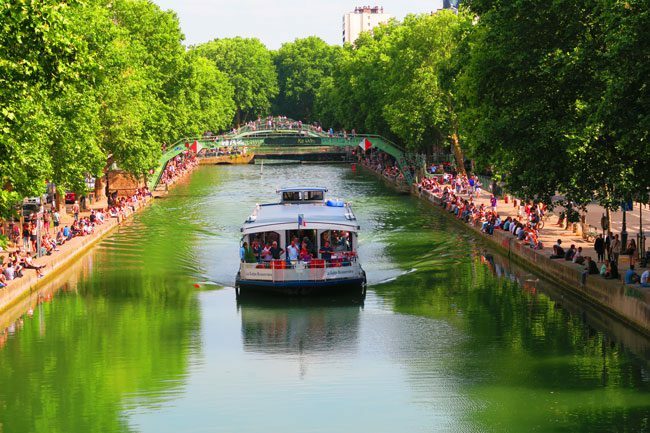 It’s the perfect place to end your Canal Saint-Martin itinerary and if you’re extra lucky, you might even be treated to the spectacle of a boat making its way upstream. It’s gonna take ages for the locks to do their work, but not to worry – they’ve got plenty of champagne onboard! On a warm summer day like this, the banks of the canal will be filled by nightfall. Our day spent exploring the Canal Saint-Martin area was special. But that’s because we were looking for something different, beyond the tourist hotspots. I’ve been to Paris several times before but the furthest I ever ventured east was Place de la Republique. 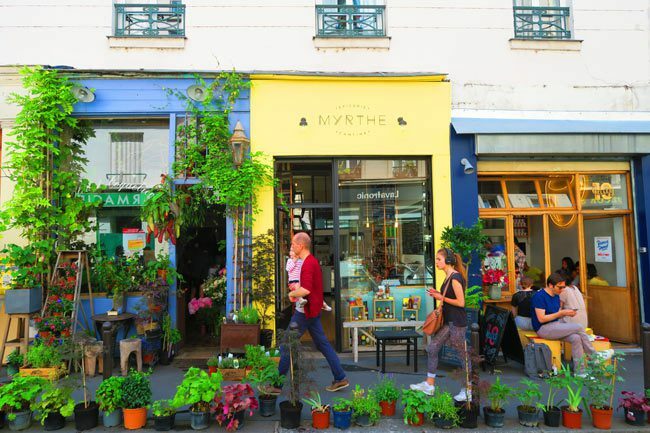 There’s a whole other world in eastern Paris so if you’re looking for something new, an off the beaten track thing to do in Paris, this is a solid option. Having seen the canal area and the Bastille, I now know of a different side of Paris – a more down to earth Paris, a lot less pretentious and one that’s full of surprises. You just need to know where to go and where not to go, as there are few dodgy pockets here and there.